Ultra’s longstanding home, Bayfront Park is captured through the lens of critically acclaimed filmmakerFINAL KID, who immerses the viewer in a state of pure euphoria and exquisite detail by way of RED 8K Cameras. Exceeding the quality of its predecessor’s, this year’s Aftermovie showcases ULTRA’s monumental production, star-studded lineup and breath-taking scenery, all of which have solidified the festival’s position as the world’s premier electronic music festival. The unparalleled experience of #ULTRA20 is put on full display throughout the 14-minute-long film, as spectacular waterfront shots are intertwined with images from each individual stage, highlighting the jaw-dropping Megastructure, the iconic Main Stage, and Arcadia Spectacular’s otherworldly SPIDER. With all-star cameos from Will Smith, G-Eazy, Halsey, Yo Gotti, and Sean Paul, not to mention Above & Beyond‘s surprise ASOT guest appearance, and Swedish House Mafia‘s ground-breaking reunion, #ULTRA20 exceeded all expectations. The masterfully curated Soundtrack includes massive productions from the likes of Nicky Romero, Adam Beyer, Fisher, and Arty, helping viewers to relive ULTRA’s most memorable celebration to-date, and primes fans for 2019’s impending edition. For the full festival experience, be sure to watch the 4K version via the YouTube app on their Smart TVs. 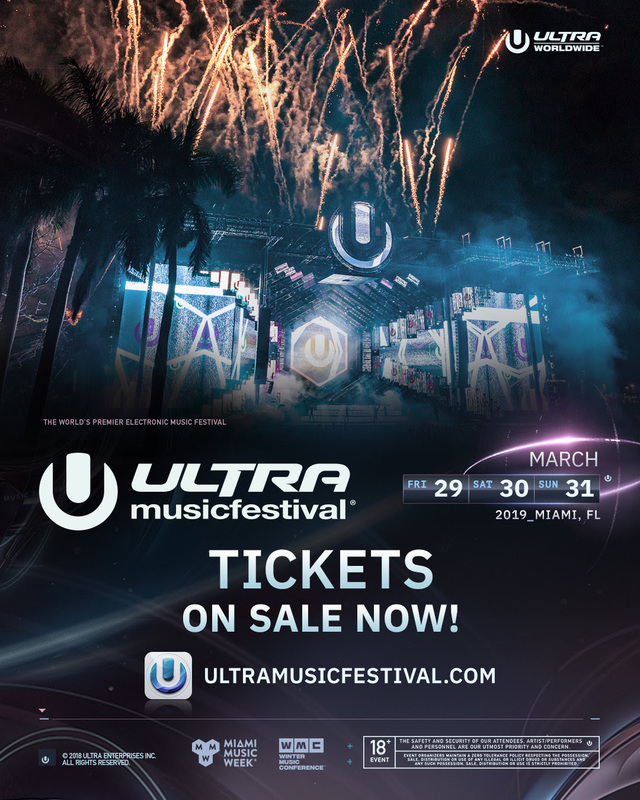 For Ultra Music Festival’s 2019 on sale, Ultra Passport Gold & Platinum status holders were able to purchase tickets before the general public, allowing priority access to the lowest-cost tickets available. Ultra Passport, the first-ever international customer loyalty system for music festivals, continues to grow with over half a million enrollees.